Thanks Prenin! Hope you feel better soon. Great illustration. But those words! It’s funny to hear those words – so alarming! Makes me laugh. lol Thanks so much. This character is so hilarious. I love him! I was afraid someone will come with such an idea… no way we far gone.. I know… but he’s in a better mood now… don’t worry! No!!! 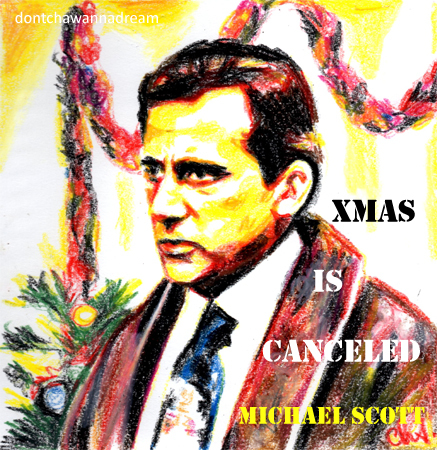 Christmas can’t be cancelled! I’m so sorry. I didn’t want to scare you, Fraz!! It’s not canceled. Don’t worry. I talked to Michael!!! OK. That’s good. I’ve been waiting forever for Christmas! Merry Christmas from Oz Miss Cha!